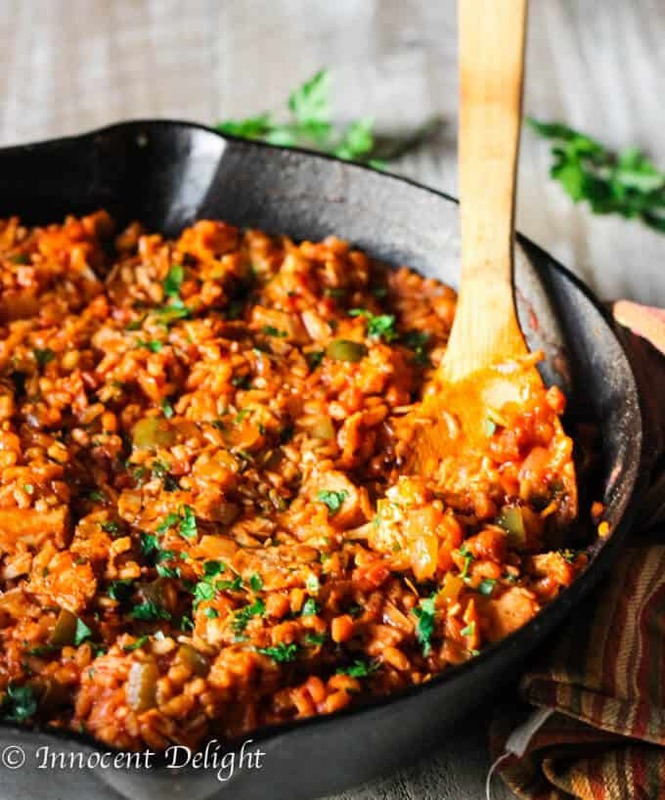 Leftover Turkey Spanish Rice – after you’re done with turkey sandwiches and soups after Thanksgiving, and you still have your turkey leftovers, try this recipe to top it all off. 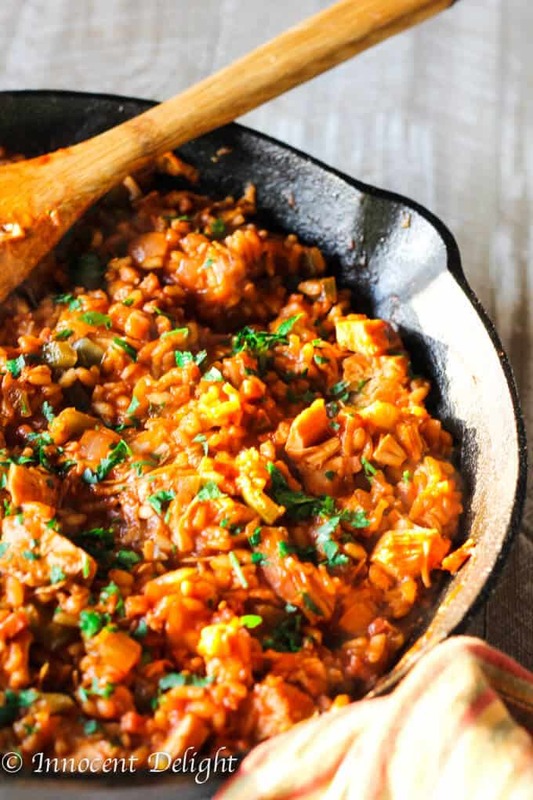 Ok, you guys…, I know I’m late with this Leftover Turkey Spanish Rice recipe. All the turkey is already gone. Mine too. 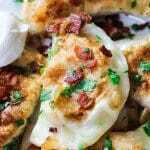 But I couldn’t not share this recipe. I have been so busy recently that I literally couldn’t find time to sit down and have this post out. I had all my photos done and the time literally just took off. 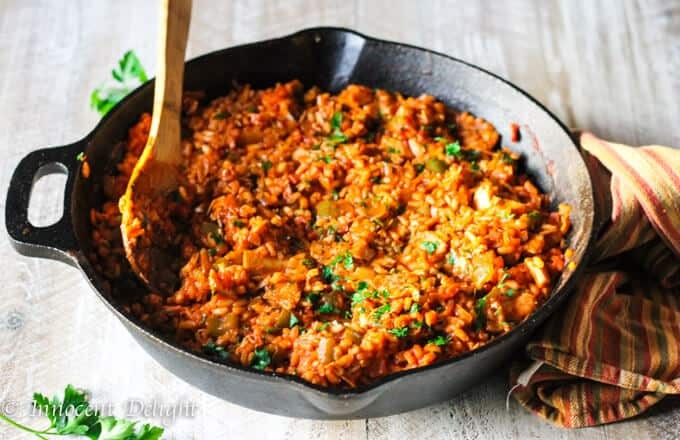 I decided to share this Leftover Turkey Spanish Rice recipe anyways, thinking that some of you may cook turkey for Christmas or any other holiday that you celebrate in the month of December or maybe you will want to keep it for the next year’s after Thanksgiving meal. 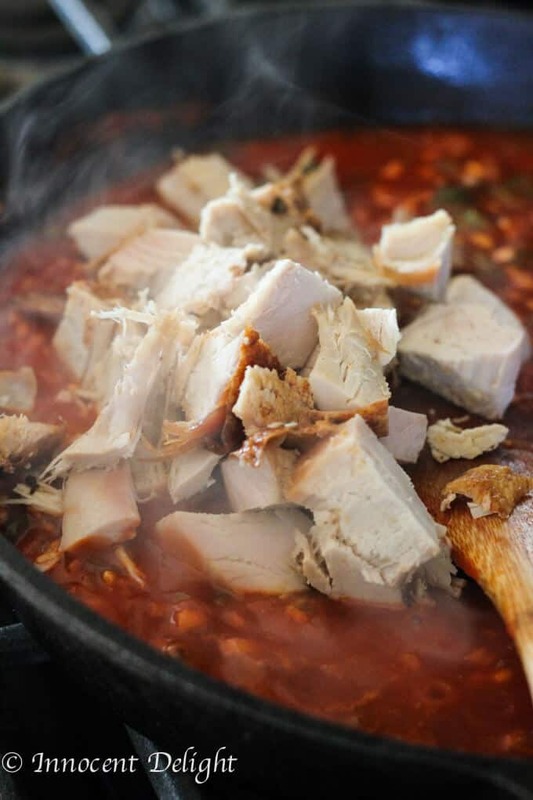 I called it Leftover Turkey Spanish Rice, but you can actually use whatever you have at home. 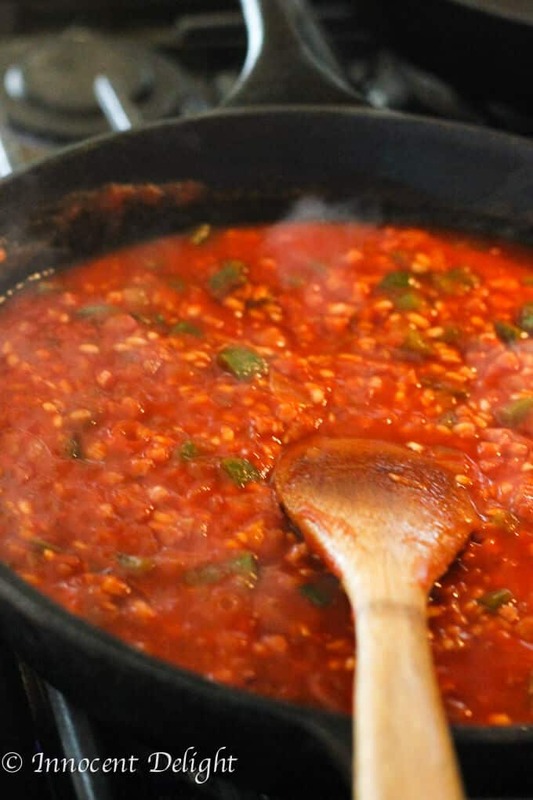 This recipe is not really “Spanish”. 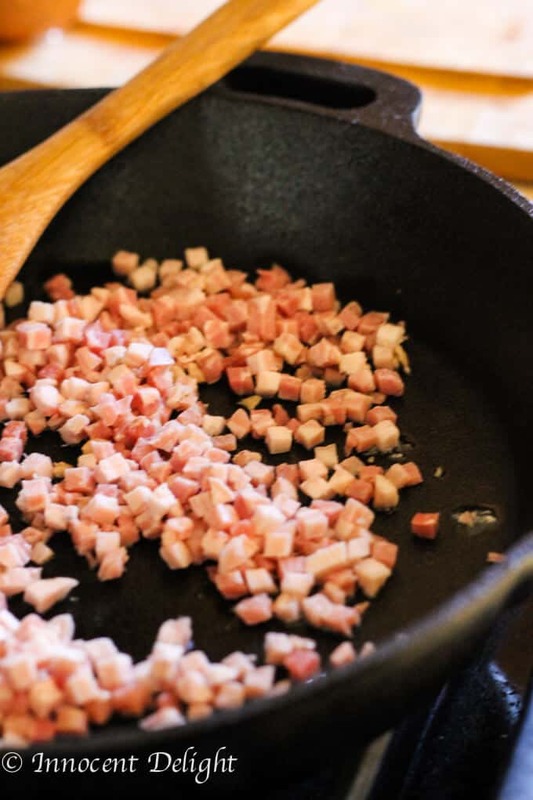 I used Arborio rice that you normally use for Risotto and I also used pancetta instead of chorizo. I did use Spanish Smoked Paprika (affiliate link), sprinkles of Spanish Saffron and tomato sauce. It did have Spanish flavor, but my point here is that you can use anything you have at home. 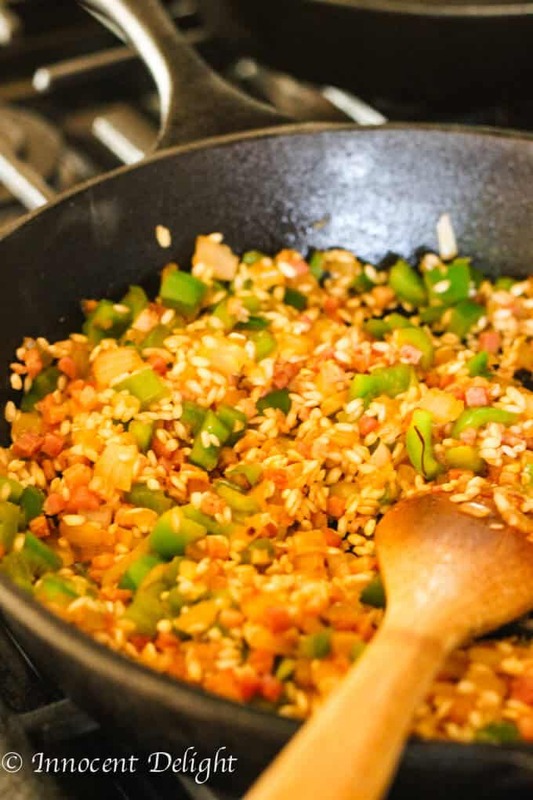 Rice is super versatile, and you can add any ingredients that you feel would work with it. For me, the inspiration was the Polio can Aroz. 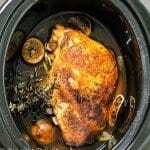 I thought that if you can make chicken with rice, why not try it with leftover turkey. And the result was unbelievable. It’s definitely my new favorite turkey leftover recipes. My Leftover Turkey Soup is still a staple in our house the next day after Thanksgiving, but this new dish is going to be our new “go to”. I used my cast iron pan as I really like when the rice sticks to the bottom a little bit and creates this kind of “Paella” feeling. 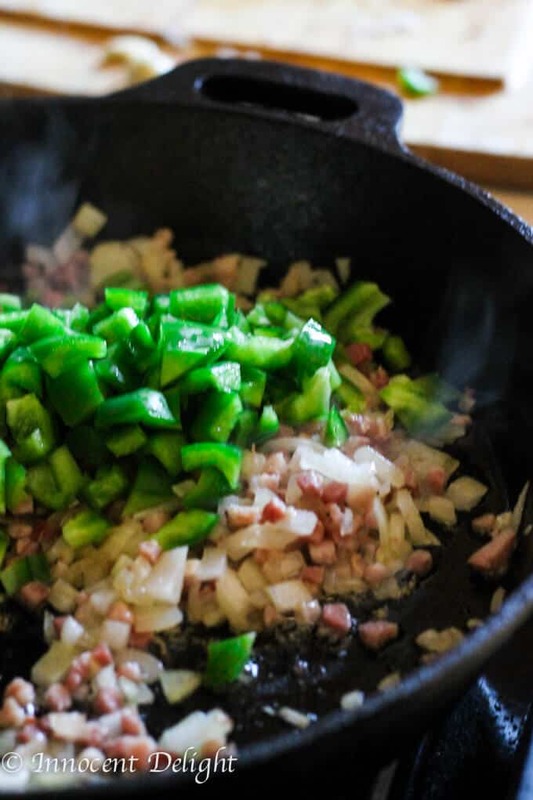 First, I cooked some cubed pancetta, then I added onions, peppers, garlic Spanish smoked paprika (affiliate link), saffron, and cooked it for a couple of minutes. Then I added rice and let it get coated. Then I poured wine, followed by tomato sauce and chicken stock. I was adding more chicken stock if the rice seemed to need more liquid and some more time to cook. There’s not much science to it. 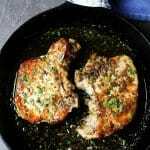 It’s super-duper simple and tastes absolutely amazing. And again, super versatile. You don’t need to stick to my ingredients to make it outstanding. 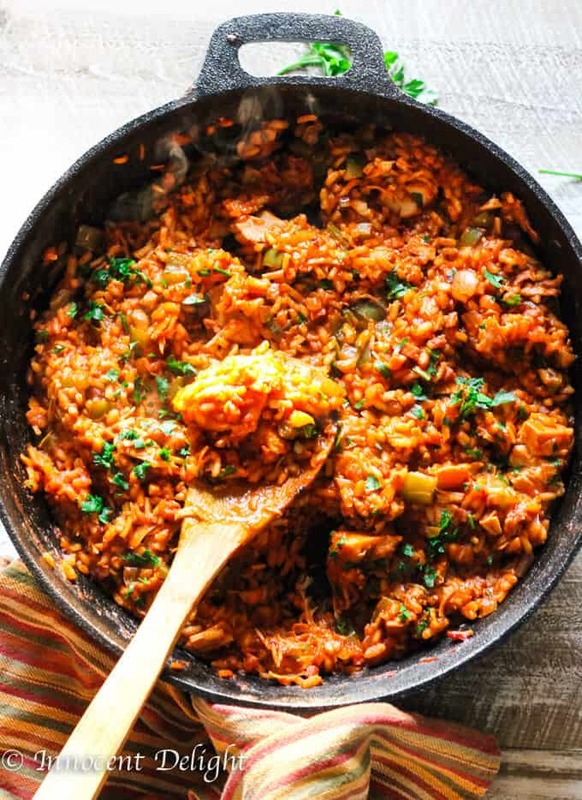 But feel free to use this absolutely amazing, simple and fragrant recipe of my Leftover Turkey Spanish Rice the next time you ended up with some leftover meat from your Thanksgiving dinner. Cheers to Holidays Season! 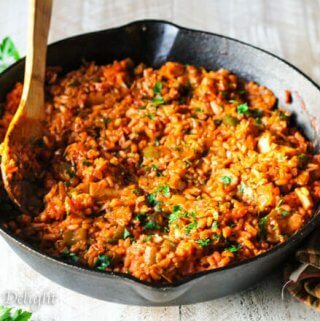 Leftover Turkey Spanish Rice - after you're done with turkey sandwiches and soups after Thanksgiving, and you still have your turkey leftovers, try this recipe to top it all off.